Otomize is indicated for the treatment of inflammation and infection of the external part of the ear. Can I buy Otomize online? 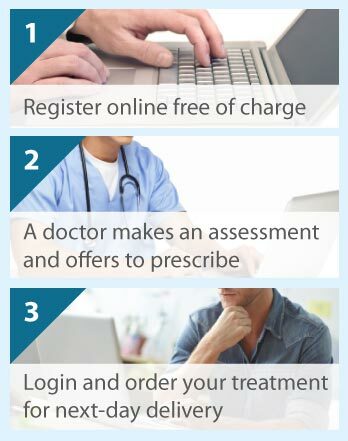 The Online Clinic can prescribe Otomize for you if the doctor feels it is appropriate. Please complete our ear infection consultation to get started. Dexamethasone, an anti-inflammatory agent that is a topical corticosteroid. Its effect is brought about through inhibition of different components of the immune system that cause inflammation. Neomycin sulphate, an antibiotic medicine that is used for a broad range of bacterial infections. It acts by attaching to specific cell components, which are important for protein synthesis by, and multiplication of, bacteria. Acetic acid, an antibacterial compound also used to eliminate bacterial infections. Its purpose is to produce an acidic environment, which is unsuitable for bacterial growth and helps to control infection. Otomize is a suspension that is sprayed directly into the external part of the ear only. To prepare the spray for use, depress the pump a few times until a fine mist is expelled (spray away from others). Ensure the tip of the nozzle is always attached when delivering a dose. When ready, with the nozzle tip in your ear, depress the pump once. Each depression of the pump delivers a measured (metered) dose. The usual dose is one metered dose administered to the affected ear(s) three times a day, continued up to and for two days after the infection has cleared. If there is no improvement after 7 days, or if the infection worsens, stop using Otomize and see your doctor. Otomize is for external use only and is not to be swallowed, inhaled, or sprayed near/in the eyes; seek medical help immediately if this happens. Do not use more than you have been told or for longer than is necessary, particularly on damaged skin, as the medicine may cause hearing loss. Forgetting a dose is not as important; simply take it when you remember and resume using the medicine as normal. Adults and children older than 2 years can use Otomize. If appropriate, women should discuss pregnancy and breastfeeding, i.e., Otomize's potential effects on their unborn and new-born baby, with their doctor before treatment begins. You cannot use this medicine if you have experienced allergic reactions to the active corticosteroid or antibacterial agents, or to any of the inactive ingredients in the product; or if you need to treat areas other than the external ear, or if your affected ear drum is perforated or has a fitted grommet. Side effects include hypersensitivity reactions (itching, pain or rash), and stinging/burning feelings that tend to disappear after the treatment has been used for a few days. If you feel that you have an ear infection, please complete our consultation form and one of the doctors will make an assessment.